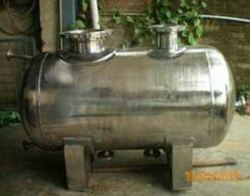 Ats Chem Equipments Private Limited - Manufacturer of pressure tank, water tubes & cold storage rooms since 1998 in Hosur, Tamil Nadu. 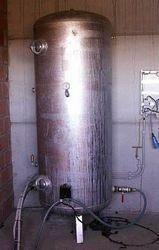 Capacity from : 100 Liters to 20000 Liters In Carbon Steel & Stainless Steel Materials. 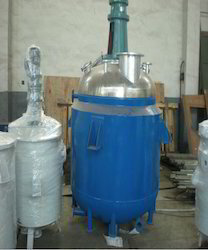 Applications : To perform Chemical Reaction, Extraction, Separation, Continuous Agitation and crystallization in Chemical process, Herbal Extraction, Bulk Drugs, Edible oil, Food Product industries and General Engineering Industries. 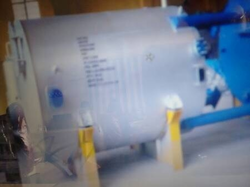 Reactor Types : Autoclave, Extractors, Crystallizers, Deaerators, Double Wall, Jacketed, Jacketed with internal coil, Limpet Coil, Sanitary, Single Wall, Single wall with Crystallizer, Single wall with internal coil, Agitator with Single and Double Mechanical Seals, GMP & Non GMP models. 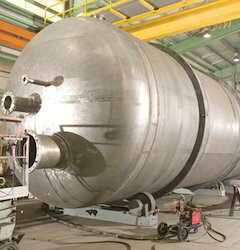 The chemical process reactors that have a capacity ranging from 100 liters to 20,000 liters. Fabricated by using premium quality suitable grade stainless steel and Carbon steel materials. The carbon steel chemical process reactors are also manufactured with rubber lined and lead bonded depending upon the process requirements. 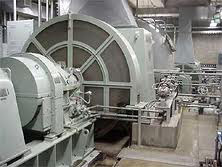 We offer industrial Reactors in Carbon Steel & Stainless Steel that are available with Jacket or with Limpet Coil arrangement for heating/cooling media fluid circulation. 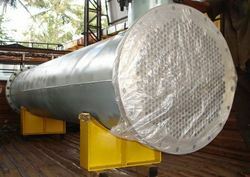 These industrial Reactors are high in performance, durable, corrosion resistant and are supplied in capacities up to 20000 liters. 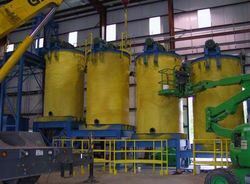 We can also customize these reactors adhering to the designs, capacities, accessories and specifications as demands by our clients. 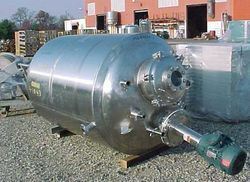 The Vessels are designed to meet all of your pressurizing needs. Durable, long-lasting, and industry-regulated, ATS Chem high pressure vessels will help you to excel in all of your work-related tasks. 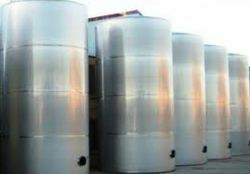 Our high pressure vessels meet all safety standards, particularly those outlined by the American Society of Mechanical Engineers (ASME). 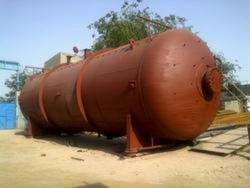 Applications : Pressure Vessels Under IBR Certifications, Gas Storage Vessels, Vessels for Water Treatment Plants, Pressure Vessels for Pneumatic Conveying in Cement Plants, Vessels for Refrigeration & Cryogenic Applications, Vessels for Shipping Industry, Vessels for Gas & Oil Industry. Apart from the above mentioned Equipments, we have executed the following items to our prestigious clients. 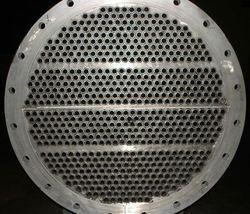 Vacuum Chambers, Double cone driers, Nutsche Filter, Hydrogenerator, RO and UF Skids, Desalination plant Stainless Steel Pipe spools, ESP Structural columns and Panels, Silencers, Suction Chambers, Diffusers, Spiral Casings, Kiln Hood Housing, Division Head Panel, Mill Shell Parts, Calibration Bins, Bucket wheel Assembly and Central Tubes.